The Luxe Manor in Hong Kong may be a small boutique hotel, but it sure packs a lot within. Quirky, surreal decor throughout the hotel, dreamy themed suites, a Scandinavian restaurant, a modern fine-dining restaurant called G.E. 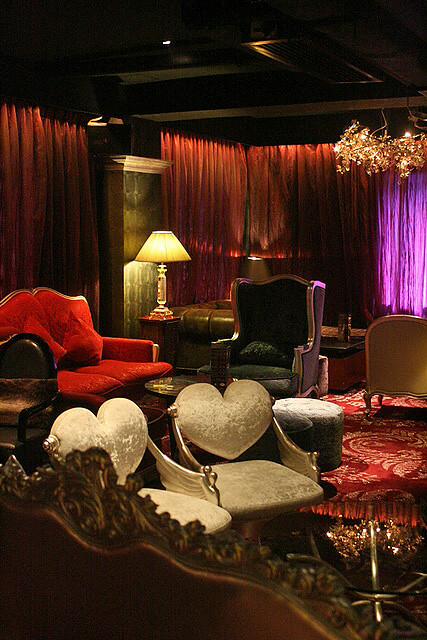 (Gastronomy Extraordinaire), plus a bar and lounge inspired by the Dada art movement. Dada Bar and Lounge, is super-plush and again, surreal. A lot of eclectic pieces of furniture are thrown together, and not too many are alike. It's got that late-night vibe, perfect for the live jazz performances that happen here. This must be the crowning piece in terms of decor and furniture. 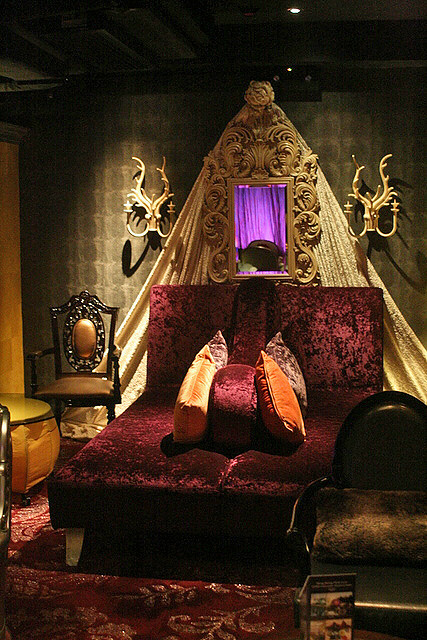 A royal purple double chaise longue that looks like a funky throne to laze around on. 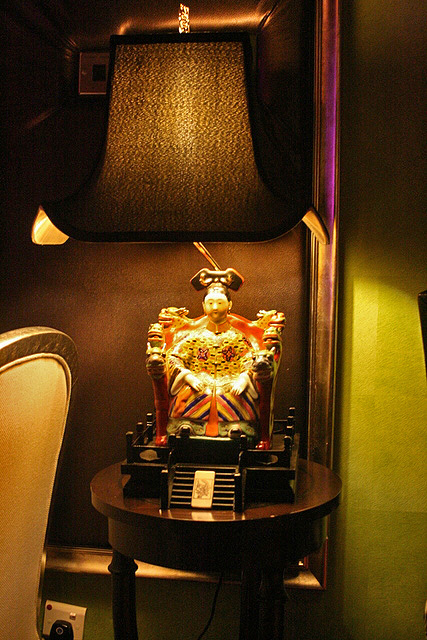 Will Empress Cixi be delighted at being made a lampstand? 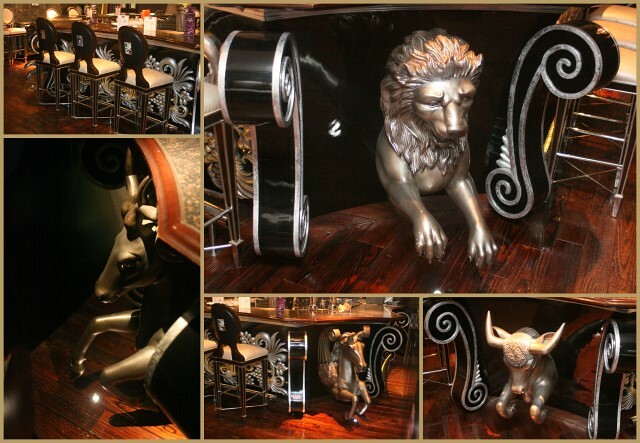 The bar table is equally flamboyant, with beasts of all manner emerging from its corners. Mixmeister Sam Limbu will whip up signature cocktails for you like Dali's Iced Tea, Trinity, Equinox, and Void. Dada also started presenting high teas, and most recently specials seven days a week. Free gourmet canapes happen during the week, and live music on weekends. Your blog is truly addictive. Loving every minute of it!